Hardcover, 6 x 8 in. / 104 pgs / 50 color. Text by Roger Malbert, Antonia Shaw. Interview by David Campany. 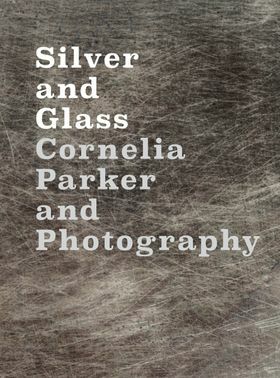 Silver and Glass is the first publication to explore the application and influence of photography in the art of the popular British artist Cornelia Parker (born 1956). The book is illustrated by works from across Parker's career, including those which arose from her investigations into the photogravure. Inspired by the 19th-century photographic pioneer William Henry Fox Talbot, Parker combined two of his early techniques—solar prints and the photogravure—to create a new hybrid form of print by exposing translucent three-dimensional objects to ultraviolet light. Presented here are a collection of 20 large-scale prints from three experimental series: Fox Talbot's Articles of Glass (2017), One Day This Glass Will Break (2015) and Thirty Pieces of Silver (Exposed) (2015). A wide range of Parker's sculpture and documentary photography is also included. Text by Margaret Iversen, Sheena Wagstaff. FORMAT: Hbk, 6 x 8 in. / 104 pgs / 50 color.